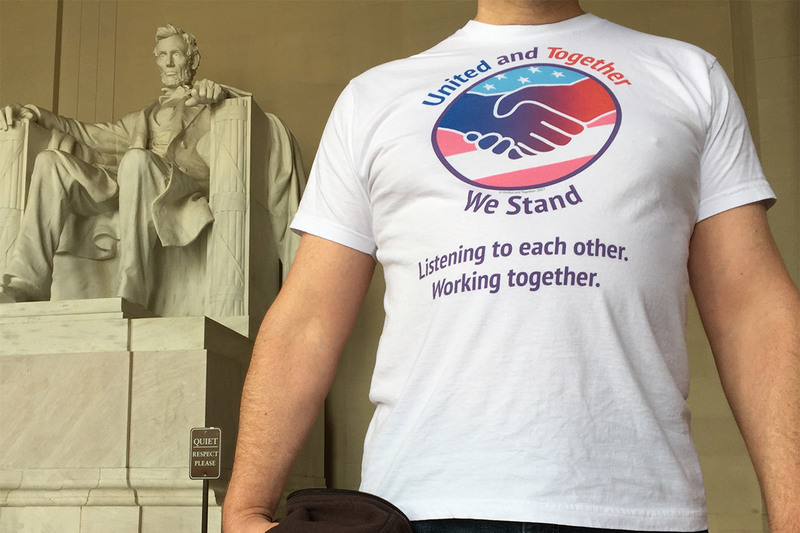 One of our valued United and Together members visits our nation’s capital! Abraham Lincoln’s inspiring words still guide us to a common goal of treating one another with respect, lending a helping hand, and finding our common ground. previous post: Spreading the United and Together message at the Atlanta Zoo today!!! next post: Why a United and Together T-Shirt?